Developing a mission statement for your life, for your family, and for your home can be a powerful tool to help give you clarity and direction. It doesn’t have to be a long or complicated process, with just a few minutes, you can put some real thought and intentionality behind why you do what you do every single day. Listen to the podcast: I’ve recorded this blog post as an audio podcast. You can read it here, or if you prefer, listen to it as a podcast below! Enjoy! The idea of a family mission statement doesn’t come from the Bible necessarily. There is no spot that talks about writing down a mission statement for your family or your life, but God does give us some pretty clear ideas about being intentional with our time and our lives. This kind of intentionality, this idea of teaching our kids, and thus, talking about and living out the Gospel every single day, doesn’t happen by accident. It takes intentional thought and planning to focus on Christ within our homes. Especially in our modern world where there is so much competing for our time and attention, there’s never been a time where it’s more urgent and important to make sure we have our goals and a mission statement for our lives and family clear and intentional. So what is a family mission statement? Of course, as a Christian, our view on our life and family is shaped by Scripture. The Bible, and our focus on Christ, begins to guide in developing a family and personal mission statement. Basically, a family mission statement can look however you want it to and I am going to share some examples below. But a mission statement is simply something that you and your husband have come together to pray about, think over, and search through Scripture to come up with. It’s basically your motto or saying that spurs your family on towards living for Christ more. It can be a full written out statement, it can be a short phrase that reminds your family what they should focus on, or it can even be just a family Bible verse that everyone memorizes and meditates upon. How it looks is up to you. But an amazing thing happens when you get intentional and practical with your family and life direction – it suddenly becomes so much easier to focus on the things of the Lord rather than on ourself or things of this world. Developing a family mission statement is going to help you get ultra clear about your priorities for your family, and from that, you will be able to easily pick and choose what to put on your calendar because you can hold each commitment up to your mission statement and see if it fits. The first thing I decided to do was break down my life and our family into a few different overarching categories to make sure I didn’t miss anything. Your list – and thus your life – isn’t going to look exactly like someone else’s. Be honest with yourself and determine what is best for your family, not someone else’s. This is a really important step in crafting a Gospel centered home because once we have these priorities and a family mission statement written out, it’s so much easier to then make judgement calls as to what we say yes and no to each day. It frees you up to focus on what’s truly important to you and your family – and ignore the rest. Please note: I’m sharing my priorities with you so you can see a framework of how to do this yourself! Really think through YOUR priories and what is important to you and your family. My relationship with God is my number one priority. I am a Christ-follower first and this effects all areas and decisions in my life. I will nurture my relationship with the Lord with daily Bible study time that needs to be my #1 priority in the morning. I will also read one chapter of a Gospel-Centered book each day and focus on prayer throughout the day. Regularly attend church and serve during Sunday school teaching children’s church with my husband. Meet with our home group twice a month. After God, my husband comes next. I want to always make sure he feels like my best friend and my biggest earthly priority (even when my physical attention has to be on crying babies or dirty diapers). Spend 10 focused minutes with him when he first get’s done with work. Go out on a date twice a month. Read one chapter of our book together before bed every night. Take the time to work through arguments and disagreements. Never go to bed angry. As I have four kids three and under, I am only just feeling like the real parenting is beginning. I want to make sure that I am diligently teaching and modeling Christ to my kids. I want to instill in them strong self-discipline. In addition to growing them up in the discipline and instruction of the Lord, I want to spend quality time with them each day. I will spend at least 30 minutes on the ground playing with them. We will read them stories each night before bed and pray together before we put them down. As they get older, spend 15 minutes of one on one talking time with each child each day. Crafting a natural home is very important to me. I need to take care of myself so that I have the stamina and the energy to care for a busy household and serve the Lord. I want to weekly encourage my husband, my kids as they get older, and myself to always be active and exercising. I cook almost all of our food from scratch, three meals a day. Continue taking baby steps to switch out harmful chemicals, toxins, and products from our home and convert to more natural options. Continually be nurturing my homemaking skills so that I can craft a healthy home for my family. 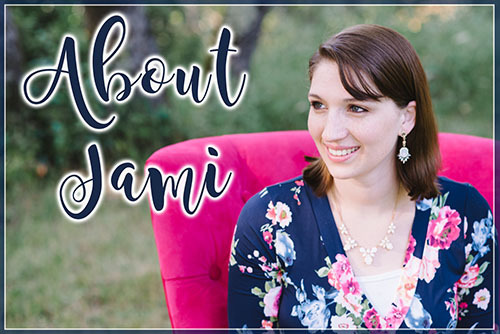 In 2015, my blog and our ministry became our family’s full time income. So it’s especially important to me that this is worked into our priorities and family mission statement since it is now our income. And while my blog has become an important source of income for my family, it is first and foremost a ministry to women. I will constantly re-evaluate my content to make sure that I am providing Gospel-Centered content as well as helpful homemaking articles. I will daily seek God’s direction for my blog and be sensitive to his leading. So now that you’ve created the 4-7 main categories that define your life and family, it’s a lot easier to take those and turn it into a family mission statement. By God’s Grace: We, the Balmet family, commit to striving to always put Christ first and foremost. We want to cultivate an atmosphere in our home where each member can intentionally, purposefully, and passionately pursue Jesus with strength and courage. Always loving one another, always forgiving one another, and always rejoicing and giving thanks in the Lord. We will encourage one another to work diligently as unto the Lord without complaining. We commit to modeling Christ to our children and loving each other with selfless love and deep affection. We strive to resolve conflict quickly and based on Scripture, not our feelings or emotions. To care deeply, love always, walk humbly, and find JOY in the small and big moments. Our mission statement is a constant work in progress. But that’s fine! Our family is continually growing and changing as does our mission statement. If you need some more help developing your family mission statement, check out this great article from Intentional By Grace: How to Create a Family Mission Statement. Now it’s YOUR TURN! Go start working on your Scripture based family mission statement! 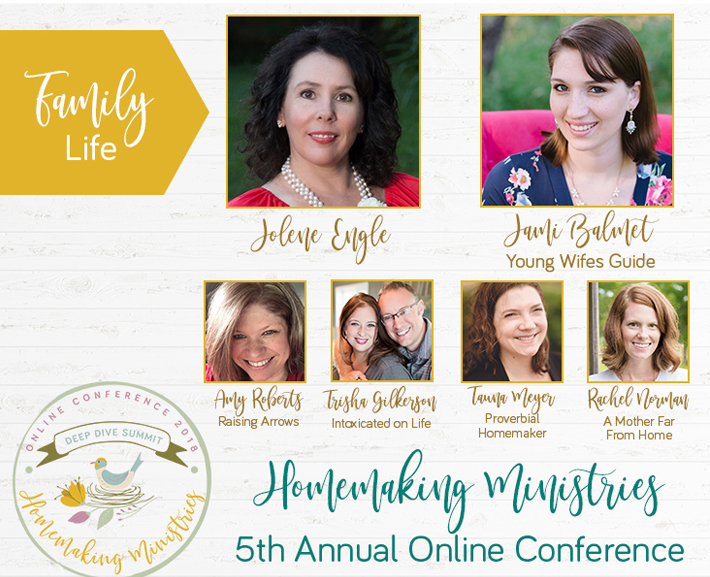 If you want to learn and grow more in crafting a Gospel-Centered home, then I am so excited to share with you our brand new online training academy – My Homemaking Mentor! It’s a full academy – with 10 courses and more on the way – taught by different instructors in various aspects of homemaking! We take you through the basics of your homemaking, marriage, hospitality, spiritual disciplines, and so much more. There is nothing else out there like this academy and Jason and I have been hard at work for two years developing this amazing resource and brining all the mentors together. And we’ve got an incredible group of women in our private Facebook group all going through the academy together. Come on over and join us when you enroll! With your enrollment, you will also get access to our brand new Spiritual Disciplines binder! Keep track of your daily Bible reading, weekly sermon notes, prayer requests, journaling, and more in this beautifully designed and handy binder. I can’t wait to connect with you inside the academy and learn together how we can glorify God from within our homes, every single day! Hello Jami God bless You. AM not yet married but currently in Campus and dating you really are teaching and preparing me to be a Godly wife and a mother who will bring up her Children teaching them GODs word. I Encourage you to continue giving us more of being a lady, wife that pleases God no all we do. I Love this Finding Joy in my HOME. Hello Jami God bless You. AM not yet married but currently in Campus and dating you really are teaching and preparing me to be a Godly wife and a mother who will bring up her Children teaching them GODs word. I Encourage you to continue giving us more of being a lady, wife that pleases God no all we do. I Love this Finding Joy in my HOME. the above post is my comment i didn’t indicate am from Africa country called KENYA.